We weren’t sure what to expect from Paris Games Week this year, as it hasn’t normally been a hotspot for Sony (they didn’t even hold a conference last year), but Sony showed a lot of games during their 2017 PlayStation Paris Games Week press conference. Big hitters like God of War, and The Last of Us 2 were shown among over a dozen new reveals. It was definitely an exciting show. That said, some moments were definitely better than others. While it was a strong conference, not everything was hit out of the park. Since I already highlighted some of the best moments, I’m now going to take a look at 10 disappointments from the Sony PlayStation Paris Games Week 2017 press conference. These moments weren’t necessarily bad, just disappointing and could’ve been better. Thanks for checking out my 10 disappointments from the 2017 PlayStation Paris Games Week press conference. If you loved a moment from the show and it wound up making the list, that doesn’t mean that anyone is wrong. It just didn’t register as highly for myself as it did for you. Enjoy whatever you like, and enjoy video games! I’d love to hear about what moments were the highlights and disappointments of Sony’s press conference for you. 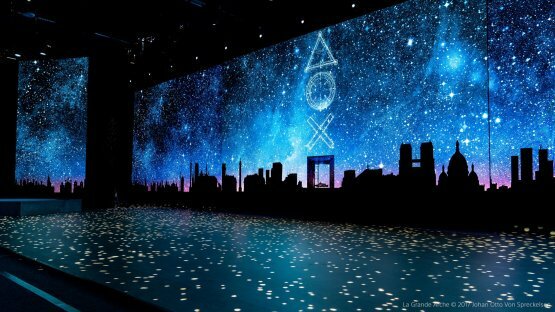 Leave a comment below about what your least favorite moments were from the 2017 PlayStation Paris Games Week press conference, and let everyone know which games left you less than impressed!